González spoke about corporate governance during recent talks with professor Jordi Canals in Barcelona and Eric Weber in New York. 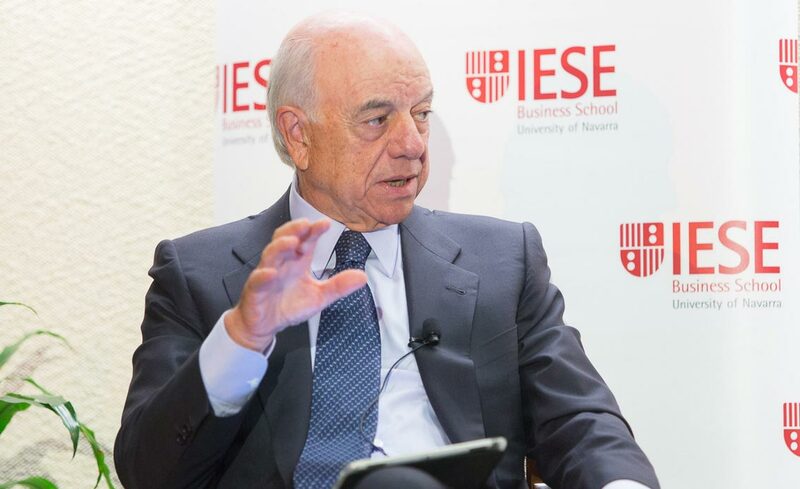 González, who was named BBVA chairman in 2001 and will step down in the coming months, is in a unique position to offer corporate governance insights. BBVA was for years during his chairmanship one of the very few large European banks with a significant number of external board members. Canals said that this distinction helped give BBVA a competitive edge in the areas of “transparency and accountability,” which took on added importance during the Great Recession. The bank has also pushed technological boundaries under González’ leadership. Paramount to González and the culture he forged at the company are three bedrock principles that steer the company toward transparency. These rudders are an unfailing adherence to the law, the fulfilment of moral obligations to society and ensuring that the bank and its activities can stand up to any and all public scrutiny. González said that while much of this adherence lies in the chairman’s hands, the cultivation of a top-tier board made up of independent thinkers is the indispensable ingredient in good governance. The BBVA board today is “not composed of billionaires,” he said, “but rather of common-sense people,” from an array of professional backgrounds. What they all have in common is a drive to intricately understand the company and work diligently for its success. González said that once dedicated directors with a willingness to work hard do join the board, companies must provide them with training so as to integrate them with a culture and sense of mission they may not fully grasp. It’s crucial at this juncture to let board members voice any opinions and questions they have. At BBVA, the director will then quickly get to know the company, inside and out, thanks to the three or four meetings that take place each month and last up to six hours. In fact, González admitted to a “huge” error the bank made in 2007 while adopting new digital strategies by ignoring the growing importance of cloud computing. Still, BBVA is widely seen as among the past decade’s more technologically prescient companies. The bank has also been at the vanguard in embracing the “agile” workplace movement. In short, this method calls for the creation of small, multidisciplinary teams (called scrums) to work together for short, intense time periods on hyper-specific projects. BBVA is in the process of expanding the agile framework across all its operations and nearly 140,000 employees. González considers agility essential to not only boosting productivity, but also to confronting today’s profound socioeconomic upheavals.